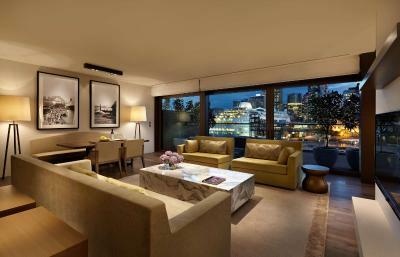 Lock in a great price for Park Hyatt Sydney - rated 9.2 by recent guests. The staff were excellent and nothing was too much trouble. I had pre-advised them that we were arriving on a cruise liner which docked just 5 minutes walk away and they had a room available for us at 8.00am. Similarly, they allowed us a late check-out and also provided a 'temporary' key so that we could use the facilities after we had left the room. The room also had a magnificent, unobstructed view of the Opera Hose. 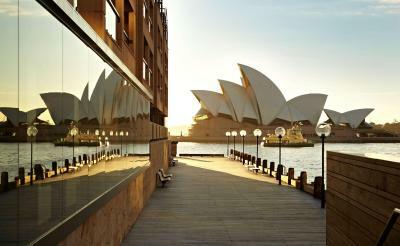 The best and most up close and personal view of the Sydney Opera house of any hotel in Sydney. The service and facilities were amazing. Everything. Bed and pillows comfy, balcony was awesome, heated toilet seat amazing. Everything was just awesome. Lounge a great space to relax, have a drink. Pool area beautiful, pity the spa was closed for maintenance at 10am. Maybe they could clean when the pool closes? Breakfast was splendid, the view was amazing. However, we had to wait an extra two hours to get into our rooms when the staffs told us that we could check in by 2pm; and on the last day, when we asked for a late checkout, the staffs called and asked if we could check out earlier instead. Pillows are fantastic. We go regularly & it’s our favourite hotel in Sydney. The staff were lovely - all of them - from reception to lounge to restaurant. At Park Hyatt Sydney guests can spend the day tanning by the heated pool and then treat themselves to a pampering session at the spa and wellness centre. 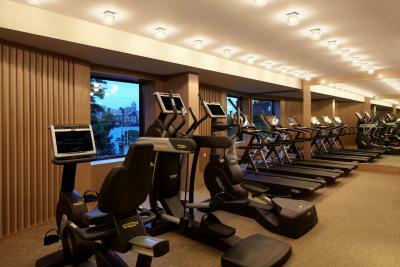 For those more energetic guests, there is a fitness centre available. 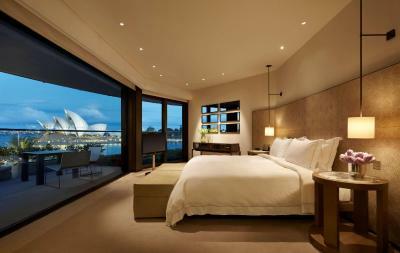 Park Hyatt Hotel Sydney brings modern luxury accommodation to the edge of Sydney Harbour. 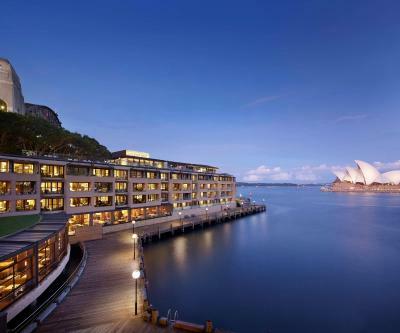 This contemporary hotel is situated between the Sydney Opera House and Harbour Bridge. 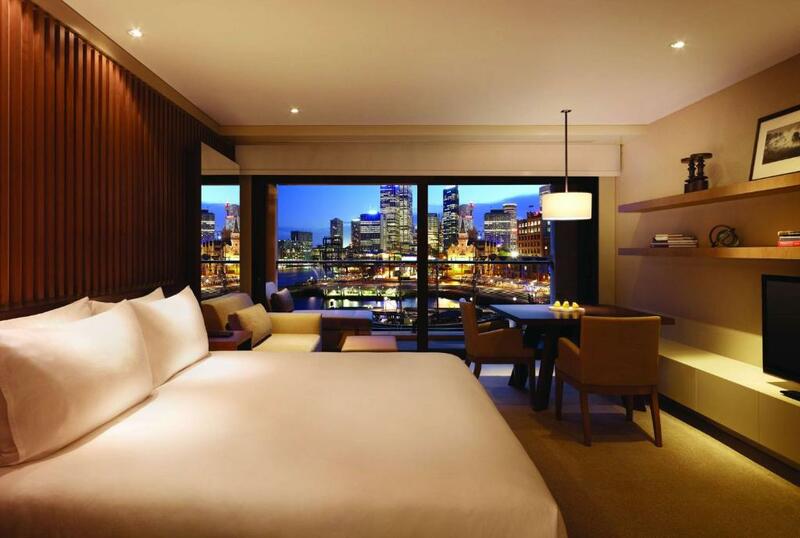 As you walk into your room you will notice the luxury furnishing, fittings, plush carpets and designer lighting that are standard in all Sydney Park Hyatt rooms. Free WiFi is included. Floor-to-ceiling glass doors open onto private balconies. Modern bathrooms offer complete flexibility, with the choice of remaining private from the main bedroom, or transforming into an open-plan design. The hotel’s dedicated team of butlers provides 24-hour personalised service for all guests. Specially commissioned paintings and artwork by Australian artists are on display. 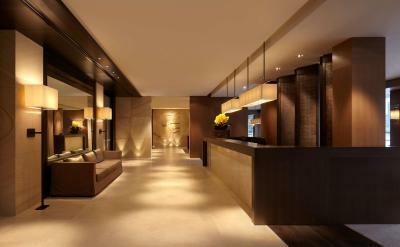 Park Hyatt Sydney is less than 6 minutes' walk to The Rocks and 10 minutes’ walk from Circular Quay. 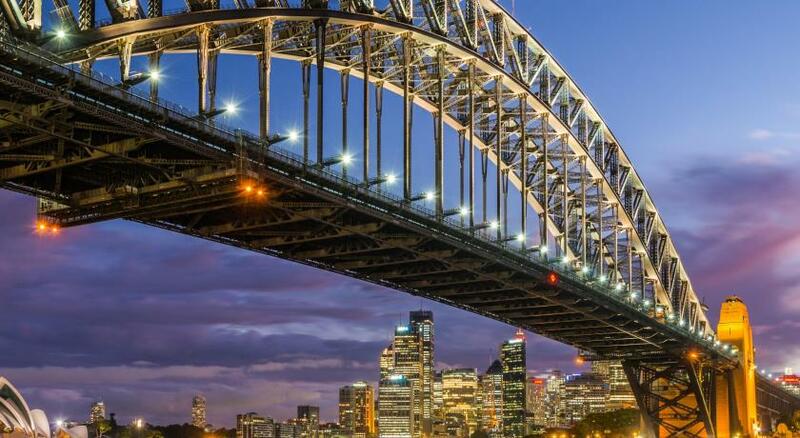 Sydney International Airport is 25 minutes’ drive away. 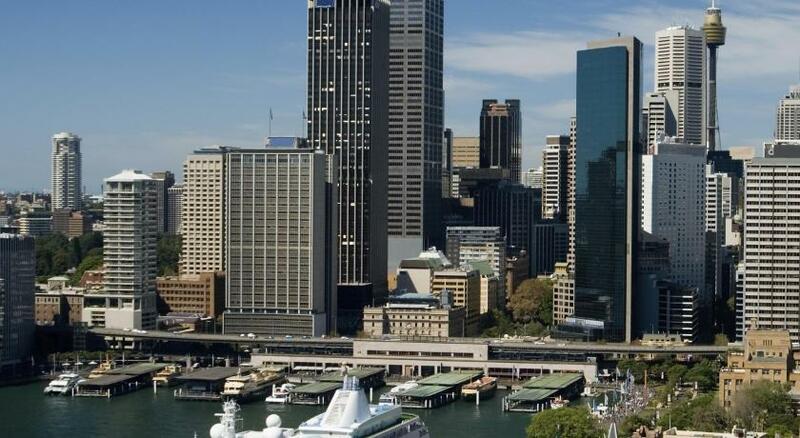 Sydney CBD is a great choice for travellers interested in shopping, food and restaurants. 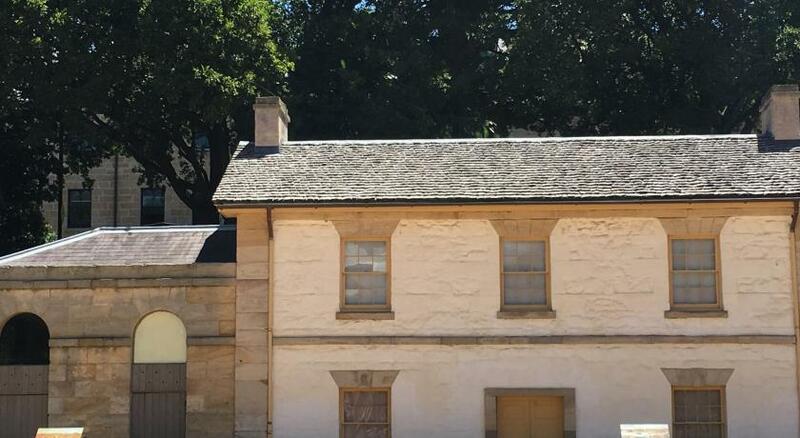 This property also has one of the best-rated locations in Sydney! Guests are happier about it compared to other properties in the area. Park Hyatt Sydney has been welcoming Booking.com guests since 5 Aug 2009. 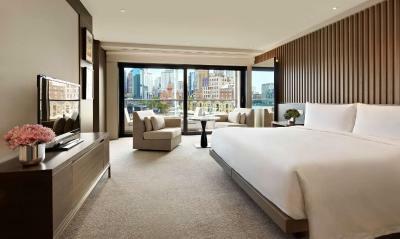 When would you like to stay at Park Hyatt Sydney? This triple room has a balcony, iPod dock and private entrance. Private parking is possible on site (reservation is not needed) and costs AUD 80 per day. This spacious guest room is residential in style, with luxurious appointments and Australian artwork. It has a modern bathroom with the choice of remaining private from the main bedroom, or transforming into an open plan design. A wet area with rain shower, deep bath tub and separate powder room with a heated Toto toilet are a feature of all guest rooms. Floor-to-ceiling glass doors open to a private balcony designed with seamless glass balustrades, natural timber flooring and custom designed outdoor furniture, a perfect setting from which to enjoy the idyllic views toward the city skyline and Campbell’s Cove. This triple room features a balcony, flat-screen TV and iPod dock. This double room has a balcony, satellite TV and iPod dock. This twin room features a balcony, air conditioning and iPod dock. This suite has a balcony, iPod dock and flat-screen TV. This triple room features a satellite TV, air conditioning and private entrance. Seated majestically on one of the world’s most beautiful harbors, Park Hyatt Sydney perfectly personifies contemporary harbourside luxury with its coveted location between the iconic Sydney Opera House and Harbour Bridge. 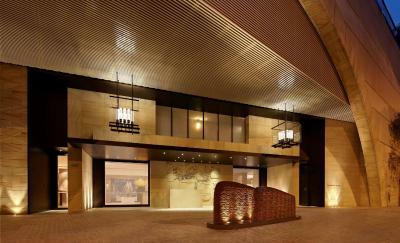 Reminiscent of an exclusive harbourside residence, the hotel features architecture, art and design that reflect the Australian landscape. Highlights include 155 spacious guestrooms and suites with contemporary interiors and floor-to-ceiling glass doors that open to private balconies; 24-hour butler service; and a day spa with rooftop pool and sundeck. A dedicated team of butlers provide an unparalleled guest experience with around-the-clock discreet, personalised service for all hotel guests. The Dining Room and The Bar offer a quintessentially Sydney dining experience, whilst The Living Room provides guests a comfortable and elegant setting to enjoy refreshments throughout the day. 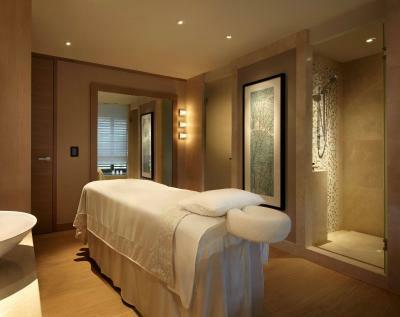 The Spa at Park Hyatt Sydney offers the ultimate in beauty and body treatments, with a selection of spa rituals tailored to individual needs and preferences. A relaxation room, aromatherapy steam room, sauna and pool complete the tranquil pampering experience. Hotel surroundings – This neighbourhood is a great choice for travellers interested in shopping, food and restaurants – Check location Excellent location - show map Guests loved walking around the neighbourhood! 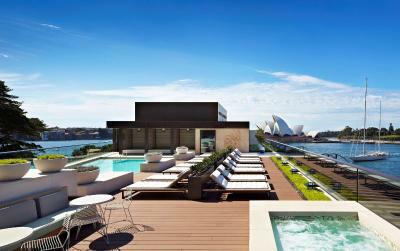 House rules Park Hyatt Sydney takes special requests - add in the next step! 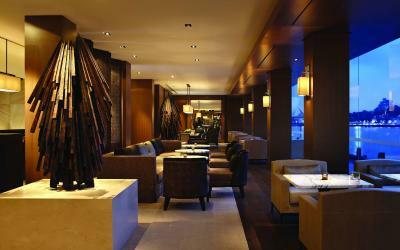 Park Hyatt Sydney accepts these cards and reserves the right to temporarily hold an amount prior to arrival. Please note the outdoor rooftop pool at the property will be closed for general maintenance from Monday 01 July – Wednesday 31 July, 2019 inclusive. During this time, the hotel’s spa and fitness centre areas, along with all other services, will still be open and available. Please note that there is a 1.95% charge when you pay with a Visa, MasterCard, American Express, Diners Club and other network credit and debit cards. 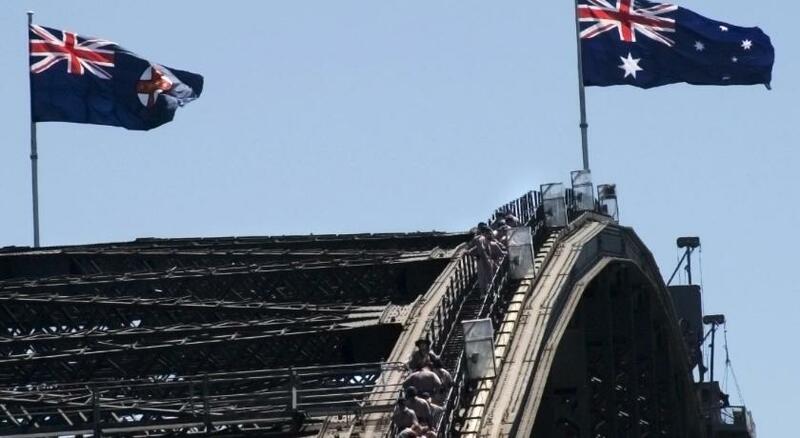 It's location was directly under the harbour bridge which tended to be noisy and obviously didn't give a true view of this iconic structure. Service in the dining room at breakfast seemed to be somewhat disorganised. The problem was not due to a shortage of staff as there were plenty, but they lacked a cohesive plan as to how the tables were served. The lighting in the bathroom was very dim. Hard to do makeup. Wasn’t able to book a twin room. So my friend stayed elsewhere as she did t want to share a bed. Tried to book direct but breakdlast not included. Booked on booking.com, same price and breakfast included. Asked hotel to match and they said no. But a good business decision I thought. However, we had to wait an extra two hours to get into our rooms when the staffs told us that we could check in by 2pm; and on the last day, when we asked for a late checkout, the staffs called and asked if we could check out earlier instead. Upon check in at 11pm after a 12 hour flight delay due to the dust storm, I experienced something that reminded me of the opening scene of Crazy Rich Asians. The front desk staff failed to show any empathy towards our travel trauma. We booked two 75 sqm rooms - one with two single beds and the other with a king bed. The size of room 1 did not match our booking confirmation but duty manager Michelle insisted that they do not have a 75sqm room with two single beds, only 45sqm room. 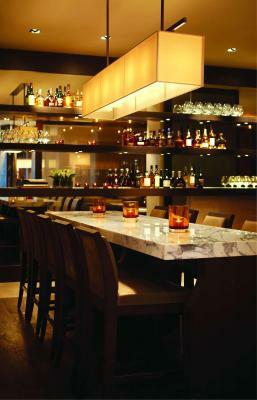 Our conversation turned into a loud argument at Park Hyatt’s reception lobby. I had to tell Michelle to stop arguing with us. Our experience was so unpleasant that we lodged a complaint with booking.com on the same night. The next morning, we asked to see the General Manager but was met by front desk manager, Morgan, who blamed Booking.com for the wrong room size information even though room sizes are entered by Park Hyatt directly. Unfortunately Morgan was not interested in the way we were treated, except to offer to move our second night to the 75sqm room (which we originally booked for) or we could leave with a refund for the second night. Having paid AUD5700 for two nights accommodation in a top of the range luxury accommodation, the poor service we received was beyond belief. We did not feel valued as a customer. We packed up immediately and went to Sofitel Darling Harbour. Oh boy, what an amazing experience we had over there. To date, we still have not heard from Park Hyatt’s General Manager. However, I did receive an apologetic email from booking.com customer service team a day after check out. They acknowledged the problem we experienced and took the initiative to offer us some refund for our first night’s stay. I’m very surprised by how booking.com service team fought for us from the start to the end. Slightly disappointed that we weren’t informed about the huge amount of works going on in front of the rooms with Harbour side views. Had to be moved in the middle of our stay which was a disruption. I think there should be something on Booking.com to mention construction work Also the floor wasn’t cleaned very well in our loo. Greasy residue in front of the toilet on the floor?? The service was pretty good and the beds.